American bike maker Indian Motorcycles has trademarked two brand names under the ‘Motorcycles and structural parts therefor’ category, which are ‘Indian Raven’ and ‘Indian Renegade’. 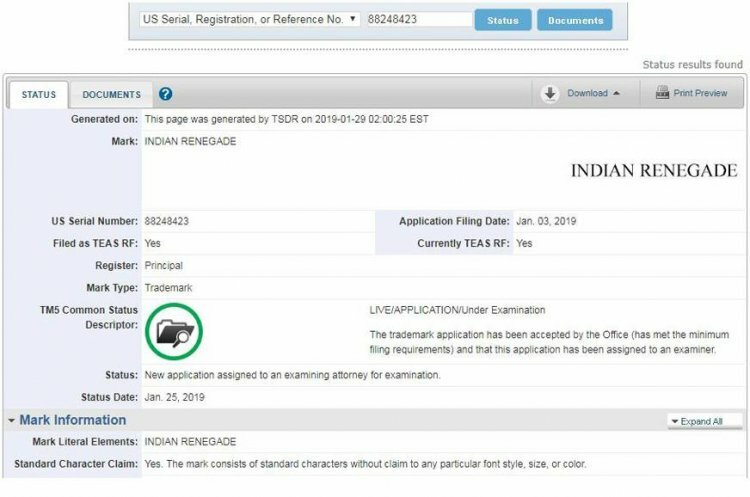 The Indian Raven brand name was trademarked on 17 December 2018, while the Indian Renegade was registered on January 3, 2019. 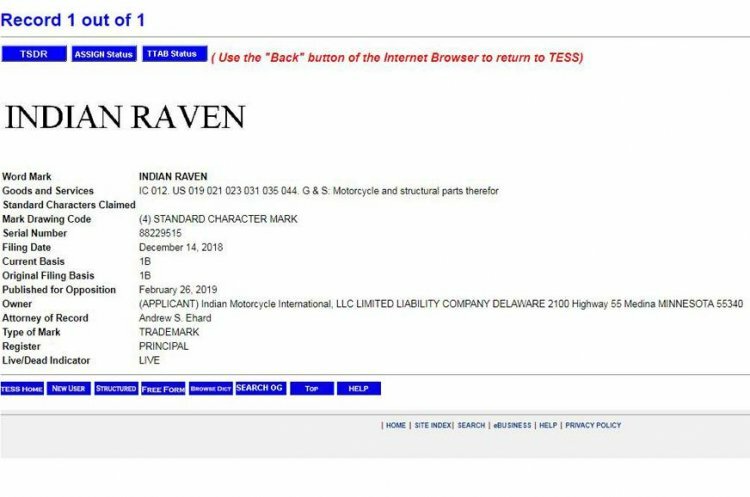 Reports suggest that the Raven could be based on the Indian FTR 1200; however, Indian Motorcycles is yet to confirm this. The Renegade brand name is already used by UM Motorcycles for its range of entry-level cruisers, and it will be interesting to see how Indian Motorcycles use the name. Not much else available on the two new brand names, and until further details are revealed, we cannot speculate about the launch timelines. With the Indian FTR 1200 S already launched in India at INR 14.99 lakh (ex-showroom Delhi), the company has made it clear that India is an essential market for the American bikemaker. So, it is wise to expect the company to introduce the Indian Raven and the Indian Renegade in the domestic market. Speaking of the Indian FTR 1200 S, the motorcycle is inspired by the FTR 750 Scout race bike that had taken the American Flat Track series by storm. It is powered by a 1,203cc V-twin motor that is tuned to pump out 120 hp of power at 8,250 rpm and 115 Nm of peak torque at 6,000 rpm. A six-speed gearbox with a standard slipper clutch take care of transmission duties.